I have a little treat for you all today. 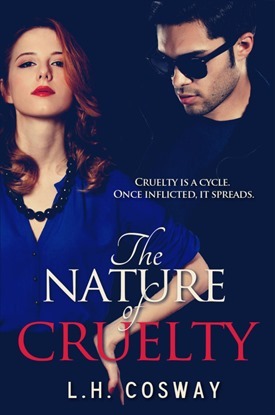 It is my pleasure to share with you the cover of The Nature of Cruelty by L.H. Cosway. Painted Faces by L.H. Cosway is one of my favorites, so I cannot wait to read her upcoming novel. Be sure to add it to your to-read list on Goodreads.